As seasons pass and years accumulate the shiny fresh exterior of your home gradually deteriorates and you need the services of a professional contractor to remove the stains, clean out the dirt and scrub off the mildew. Reid Services offers a wide array of home washing services that can get your home looking as good as new in no time. A pressure washer is an electric water sprayer, which generates a strong water force to clean hard-to-remove grime and dirt from buildings, roads or vehicles. Your home’s vinyl siding is constantly afflicted with collections of mildew and dirt. These have to be periodically cleaned out or they could result in expensive renovations if allowed to remain. Reid Services is adept at using pressure washers or other high-end cleaners to remove these deposits without damaging your exterior. The team is also skilled at applying appropriate pressure to remove rust stains that appear on your pipes and gutters. Cleaning out your gutters twice a year is essential to avoid the inevitable blockages and consequent drainage problems. Reid Services offers comprehensive gutter interior cleaning services. The team will thoroughly scour out your gutters and take the residue away when they finish. Dust and grime collects everywhere, on your driveway, your patio and other concrete surfaces in an around your home. Over time your eyes get adjusted to the new dustier color. A quick and thorough pressure wash by the Reid Services team will completely revamp your home’s exterior. It will enhance your home’s curb appeal and give it a shiny white appearance. Algae is one of your roof’s worst enemies. It grows and flourishes on the shady sides of your roof, feeding on the limestone contained in the asphalt shingles. When it rains, the water displaces the algae all over your roof causing unsightly dark streaks. This ugly phenomenon is also dangerous for your home and could cause serious damage to your roof. Reid Services offers superior roof cleaning services. 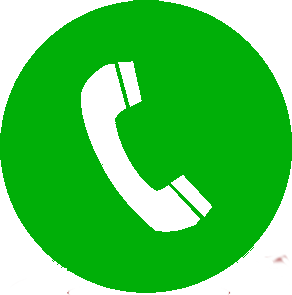 With safe and approved chemicals, the algae will be destroyed. Using appropriate pressure combined with cleaning liquids, your roof will be stripped of all algae deposits leaving you with a ‘streaky’ free roof. Your home exterior may contain exposed bricks or blocks, which attract dirt and grime due to their uneven surfaces. Pressure washers can effectively remove all these collections and with Reid Services, you can be certain that appropriate pressure will be applied without damaging the exterior. Your wooden deck is probably one of the more attractive features of your home but it too gets dirty over a period of time. 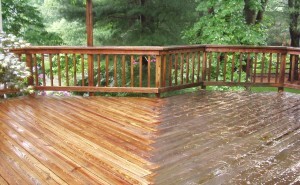 Reid Services can help you restore it to its original grandeur with state-of-the art wood cleaning services. Utmost care is taken during this process, which starts with using a quality deck cleaner combined with appropriate water pressure. Following this, the wood has to be perfectly prepared for the sealing process and once it dries completely, the sealer is applied.